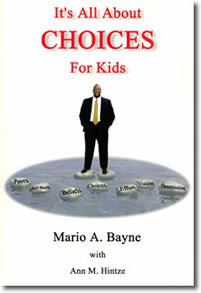 Pivotal choices play an important role in your life, whether you are young or old. It’s never too soon to stop blaming someone else and it’s never too late to start making good choices. You have hope and dreams. Prepare yourself for what can be a wonderful life. My hope is that you truly understand the gift that has been given to each and every one of us: the ability to choose and to be accountable for the choices we make. Life is not a dress rehearsal. If you are blessed with tomorrow, you will wake up, inhale a deep breath of fresh air, take a moment to be thankful for all of the good things in your life and start your day. You will not, however have another chance to relive today. This is your life; the one life that you have been given. It is a gift. Cherish this gift as you carefully map out your own life-steps on your journey. It’s all about choices – your choices.